Originally published by the Washington Examiner June 30, 2018. This month, the Antiquities Act turned 112 years old. Originally conceived to protect Native American artifacts in the Southwest, the law has, like so many federal laws, been twisted over time by power-hungry government officials. Controversy over the law’s abuse is coming to a head in New England, where fishermen are locked out of a large section of their fishery by the creation of the Northeast Canyons and Seamounts Marine National Monument. After spending years working to recover fish stocks and promote more sustainable fishing methods, they rightly see this move as a betrayal that threatens their livelihoods. Why is a 112-year-old law so controversial today? The answer lies in the aggressive reinterpretation of the law by presidents seeking to expand their power. Consider that in the law’s first century, Presidents Teddy Roosevelt through Bill Clinton collectively designated 70 million acres of national monuments. That’s a lot, to be sure, but it pales in comparison to the last 12 years. From 2006 to 2017, an additional 700 million acres were designated — a ten-fold increase over the prior century’s total. What explains this explosion? It’s the interpretation of a single word: “land.” Congress limited the president’s monument power to “land owned or controlled by the Federal Government.” Most of us would have no trouble figuring out what “land” means: If you look at a map, it’s the part that isn’t blue. At first, presidents respected this limit by designating monuments on federal land and other lands the federal government controls. But in 2006, President George W. Bush began claiming that the ocean is “land” and, therefore, it too was within his power. He did so in a transparent attempt to circumvent the limits Congress imposed under another law that, unlike the Antiquities Act, is directed to the protection of ocean ecosystems. Through this torturing of the English language, the president dramatically increased his power at the expense of Congress. Over the next 11 years, Presidents Bush and Obama would designate massive monuments in the ocean. The monument off New England’s coast is 5,000 square miles — roughly the size of Connecticut. Near Hawaii, the Papahanaumokuakea Marine National Monument is twice the size of Texas. The presidents’ assertion of this power is a direct attack on the Constitution’s separation of powers. Congress, not the president, has the sole constitutional authority to write the law. It has directly provided for the protection of important ocean ecosystems under the National Marine Sanctuaries Act. This law sets up a science-based approach to designating marine sanctuaries according to clear factors set by Congress. It also requires an open, public process to ensure accountability. The Antiquities Act, in contrast, provides no public process and no standard to apply. Tellingly, several marine sanctuaries were established under this law, prior to 2006. But that stopped when presidents began proclaiming that the ocean is land. Since 2006, no further marine sanctuaries have been designated. In other words, presidents have abused the Antiquities Act in an attempt to circumvent the limits and the principles of public transparency Congress imposed under the National Marine Sanctuaries Act. That is a significant attack on the Constitution’s separation of powers. Some may dismiss these constitutional concerns on the assumption that ocean monuments are good for the environment. But it’s not so clear cut. By breeding conflict and resentment, huge monument designations may undermine other successful programs to promote healthy fisheries. According to the National Oceanic and Atmospheric Administration, 91 percent of all fish stocks in U.S.-regulated waters are no longer overfished and many have rebounded, thanks to a collaborative and public fishery regulations process. When the New England ocean monument was proposed, the eight regional fishery management councils — the authorities responsible for the recent fishery recoveries — warned “marine monument designations can be counterproductive as they may shift fishing effort to less sustainable practices.” The logic is simple: Restricting certain areas puts more fishing pressure on other areas, depleting fish populations there. 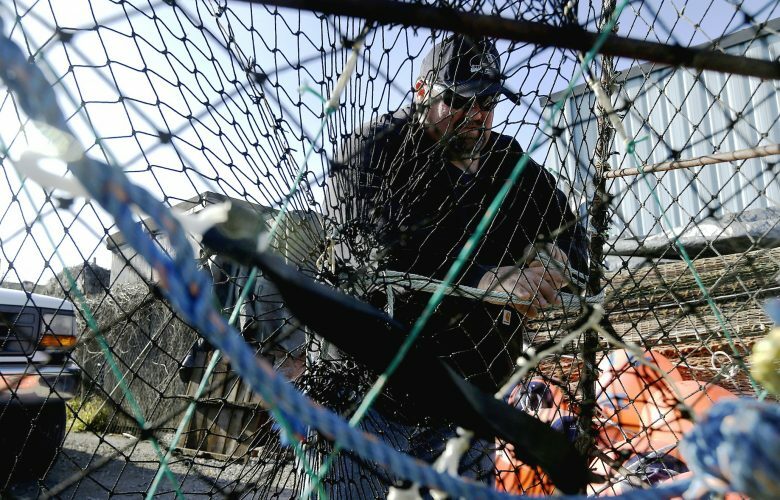 Fishermen face enough challenges without getting dragged into a turf war between the president and Congress. They correctly recognize that if presidents get away with this novel reinterpretation of the word “land” in the Antiquities Act, it won’t stop with the few huge ocean monuments that have already been designated. Over time, fishermen will be squeezed more and more, to the detriment of their livelihoods, our coastal communities, and the rule of law. Jonathan Wood is an attorney at Pacific Legal Foundation and represents commercial fishing groups in their challenge to the Northeast Canyons and Seamount Marine National Monument.